Here in Northern California the temperatures are heating up, which means this girl wants nothing to do with cooking in the kitchen. Just about everything on my dinner menu is being cooked on the grill, including this delicious perfectly grilled corn. When people think about grilling chicken, steak and ribs usually come to mind. So many people forget that side dishes and even desserts can be cooked up on the grill. Here in California my husband and I grill year round. 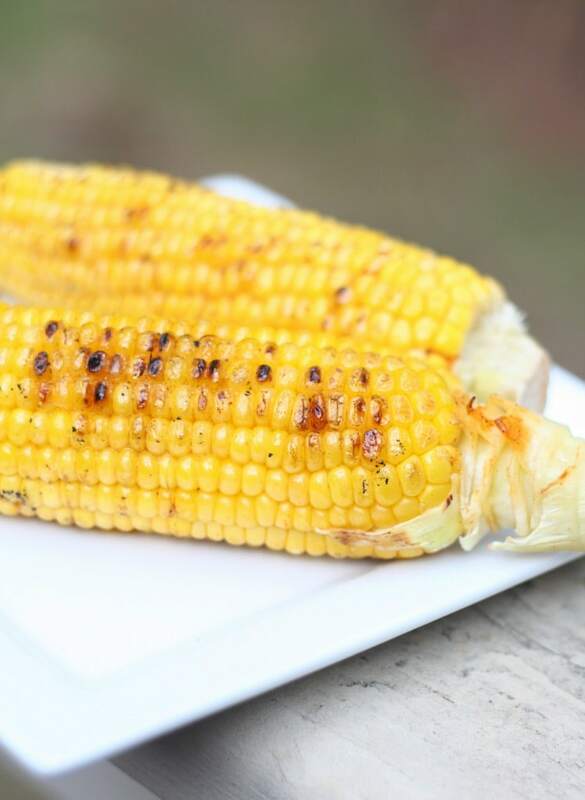 This grilled corn recipe is the perfect side dish for your summer bbq. Remove husks from the corn and place each cob on a sheet of foil. Sprinkle your seasoning all over your corn, ensuring it is well coated. Add a large dollop of butter on top of the corn and then place a few small ice cubes next to your corn. 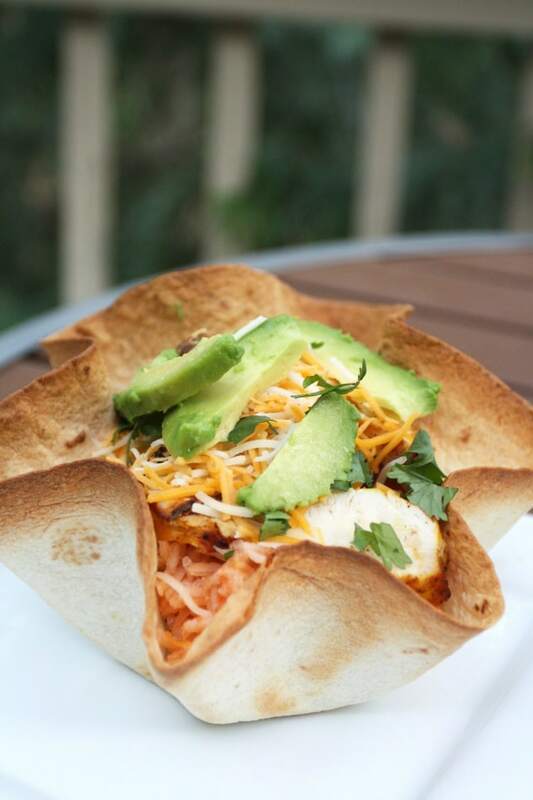 You’ll now fold the foil up around your corn ensuring it’s sealed up tightly. The ice in the foil packets creates steam that really brings out the flavor in your corn. 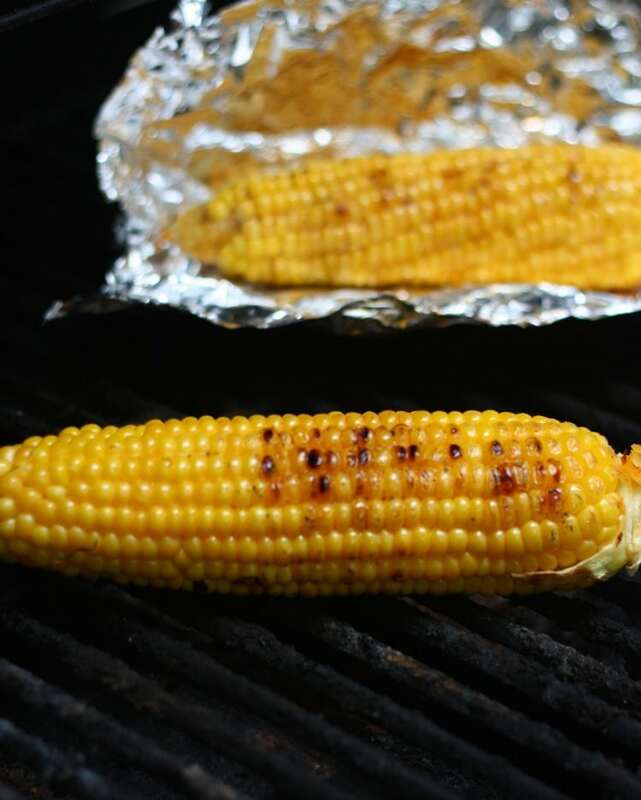 Place your foil wrapped corn on the grill for about 30-minutes. Once corn is nice and tender, remove from grill and let it cool slightly. Once the corn has cooled down a little, place the corn directly on the grill to get some good char marks. I will typically only leave the corn on the grill for a few minutes. Once you have some char marks remove from the grill and serve with your favorite dish! 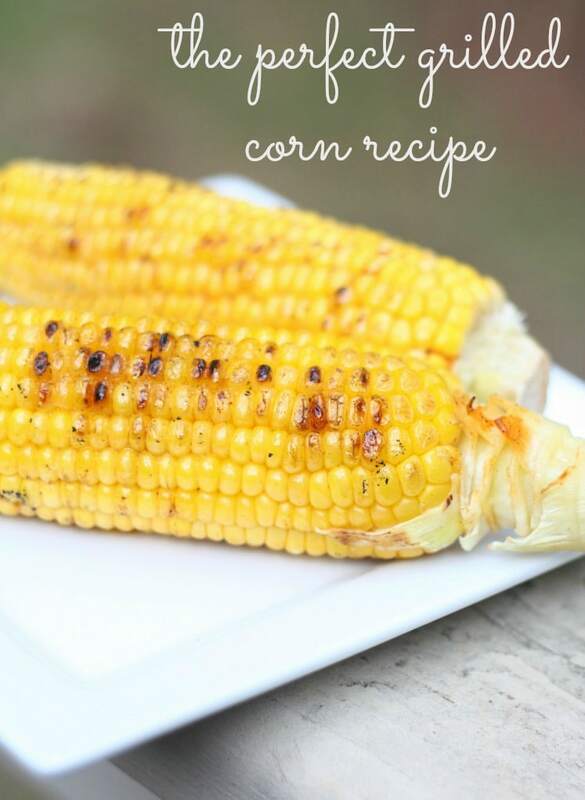 I love corn during the summer and thanks for sharing this perfect recipe for grilling corn. It looks really good and easy to do. Never tried using ice when grilling corn. It perfectly makes sense. Thanks for the tip! This really reminds me of the summers I spent at my grandmother, we use to go in the corn fields and search for hours for the perfect corns, but we used to do them in a classic way. I will try this recipe, thanks! What a good idea to put a couple of ice cubes in each packet! That ensures that the corn is also being steamed (as in a pot) as well as grilled. I’ve never tried it wrapped in foil. I’ll have to grill my corn this way sometime. I love the idea about the ice cubes. Theresa @DearCreatives recently posted…Easy Craft Ideas: Under 30 Minute #DIY Chalk Pen Project! Yum this is one of my favorite ways to prepare corn. I need to remember to grill some corn soon! I love Grilled corn Thanks for sharing this I must try this at home. Yum I love the idea of grilling corn! I love those kenmore grills. My mom has one. I remember when ever I was at my hometown, there was grilled corns I can buy on the way home. I like grilled corn especially with butter and salt. 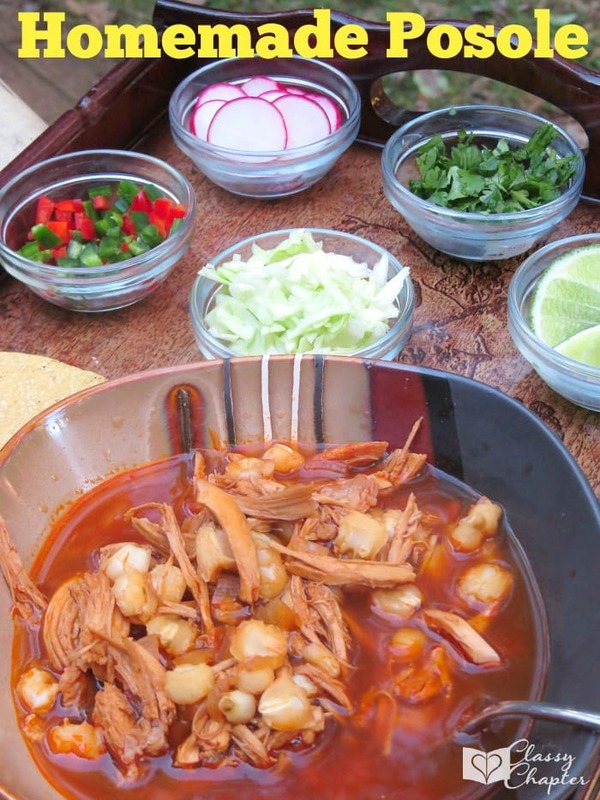 We grew up eating corn.. .It was like a sunday tradition for lunch, I love a good corn especially with a good spice. You know, this is what I really wanted to learn. I really want to try to grilled corn perfectly and because of you my wish will be command lol. I was hungry and now I am hungrier! This really looks great. I will definitely have to add corn to my list the next time we barbeque. There is nothing better than fresh corn on the cob. It would be so nice not to have to boil a big pot of water. Fire up the grill! Once you eat your corn like this, you will never want it any other way. It is so delicious when you grill it. Yum! I still haven’t tried to grill corn. Thanks so much for sharing with us at #HomeMattersParty. Hope you join us again next week! The door opens Friday EST.